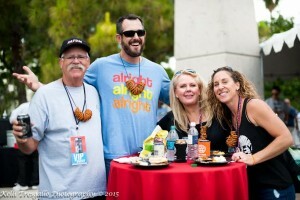 Professionally produced by HDE Agency in partnership with SanTan Brewing Company, the award winning 6th annual AmeriCAN Canned Craft Beer Festival is set to return to the Scottsdale Civic Center on Saturday, May 14th from noon to 6 p.m. Presented by Rexam, AmeriCAN features more than 300 rare beers from over 100 local and national breweries, many of which are not available in the state of Arizona. Located at the Scottsdale Civic Center, 3939 North Drinkwater Blvd, Scottsdale, AZ 85251, AmeriCAN Canned Craft Beer Festival will celebrate the canned craft beer revolution with live entertainment, food, a VIP tent, beer science garden and beer Olympic games. New elements this year include a mobile canning station and brewing demonstrations. 40 certified craft beer judges will gather to taste and vote for their favorites in nine categories including IPA, American Pale Ale, English Pale Ale, Wheat Beers, Stouts and Porters, Ambers and Browns, Golds, Blondes, Pilsners and Light Lagers, Fruit, and Specialty Beer. Gold, silver and bronze winners will be announced via live stream on May 9th at www.cannedcraftbeerfest.com. Presale general admission tickets are available online at www.cannedcraftbeerfest.com for $35 and include admission, a souvenir can and 20 four-ounce pours. Day of admission is $45. VIP tickets are also available through presale purchase only for $100. VIP tickets include admission one hour early, a souvenir can, 20 four-ounce pours, catered food, a private VIP zone with private restrooms and exclusive specialty beer sampling. AmeriCAN Canned Craft Beer Festival will open its doors at noon to VIP ticket holders and at 1 p.m. for general admission. The festival ends at 6 p.m. This is a 21 and over event, no exceptions. Ticket purchasers and all guests must be 21 or over and must present a valid picture ID upon admission. 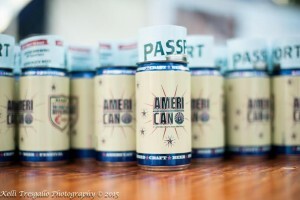 For more event information or to purchase tickets, visit www.cannedcraftbeerfest.com. Also, be sure to “like” the event Facebook page at facebook.com/AmeriCANfestival and follow on Twitter @AMERI_CANFEST and on Instagram @AmeriCANcraftbeerfest. ← Previous Previous post: Get Ready to Pig Out During the Great American Barbecue and Beer Festival! Next → Next post: Test Your Luck at the Fate of the Irish Event at Fate Brewing Co.